Every now and then an artist will try to show us that his hobby is no ordinary interest but a secret vessel for the Meaning of Life. For Alexander Payne, wine is that vessel. I do not have a great affinity for the world of vinaculture. 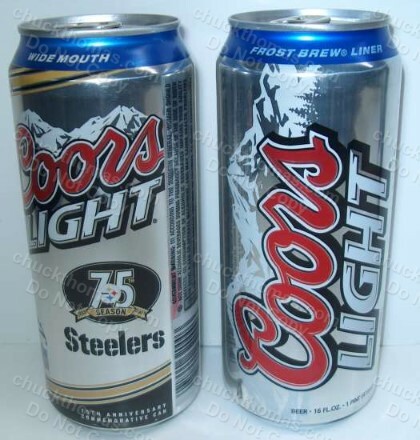 My favorite libations are the ones that don't come with intricate pre-consumption rituals; just pop the top on a Silver Bullet and I'm good to go. It wouldn't be terribly difficult to replace the wine tour of the California coast in Sideways with the search for the perfect draft lager or martini. In art as in life, drinking is merely a jumping-off point for social encounters both beautiful and hazardous. 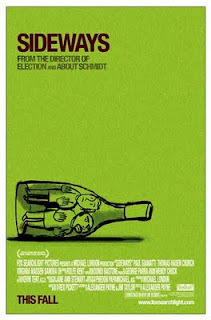 Sideways comes across as a project born more of passion than of snobbery. This is a great credit to the film's two leads, Paul Giamatti and Thomas Haden Church, who are perfectly cast as a sad-sack struggling novelist and a horndog TV and commercial actor, respectively. They are the players in a familiar farce: middle-aged men confounded by marriage and life in general. Church is about to get married but is also an inveterate philanderer. Giamatti is recently (but no too recently) divorced and cannot bring himself to re-enter the dating pool. Their jaunt through Santa Barbara wine country is supposed to help them get their groove back, but let it be said that it is not always the happiest wisdom that is found at the bottom of a bottle of spirits. As a love letter to men of a certain age, Sideways is not without blemishes. In showing us just how lost he is, the behavior of Giamatti's character can skew too far towards the troubling. It's one thing to drunk dial your ex-wife, but it's tough to redeem someone who steals cash from his elderly mother. And for all of Payne's narrative aplomb, he can't avoid a precious monologue from waitress Virginia Madsen about how a bottle of wine is a living thing and how it embodies the constant change which is, of course, life. There is also the story, perhaps apocryphal, about the sales of Merlot dropping after Giamatti famously insulted it in the film. That sounds too tidy to be true. 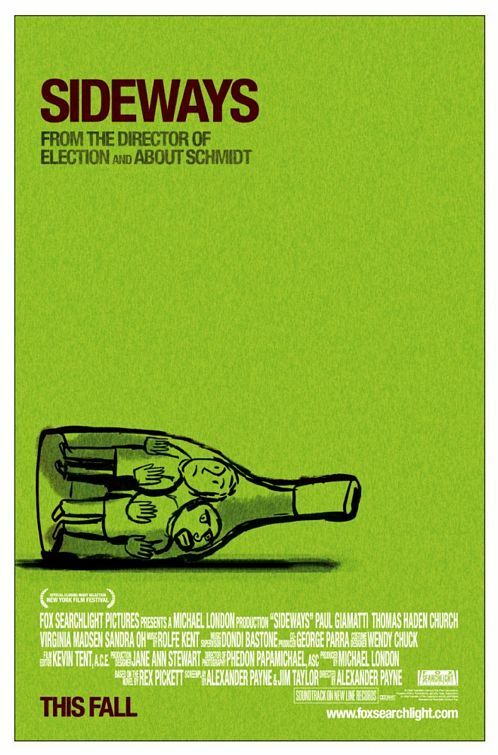 Sideways is amusingly fussy and mannered, not so middlebrow that it would subconsciously give marching orders to the Whole Foods army.